In my best Chris Traeger voice, I literally loved everything about The Summit Room. 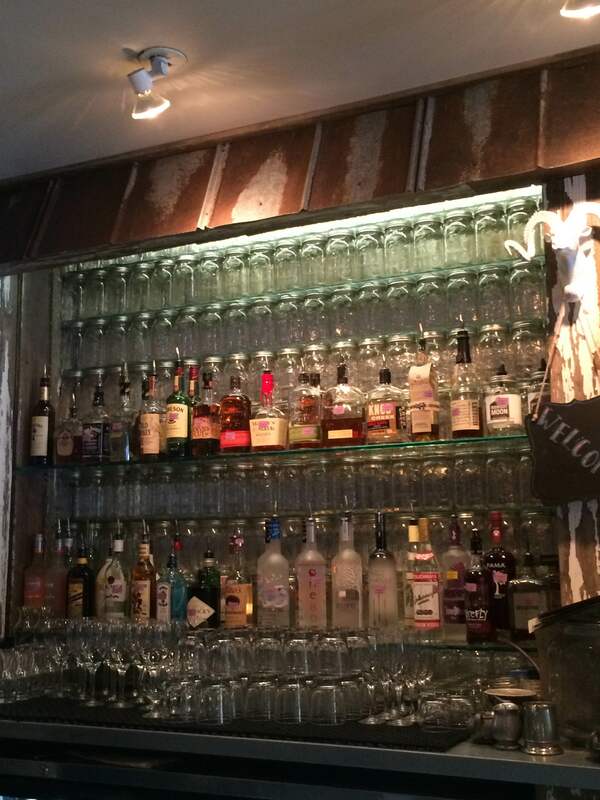 We arrived 45 minutes early for our reservations and decided to grab a drink at the bar. That quickly turned into two drinks because they were so smooth. 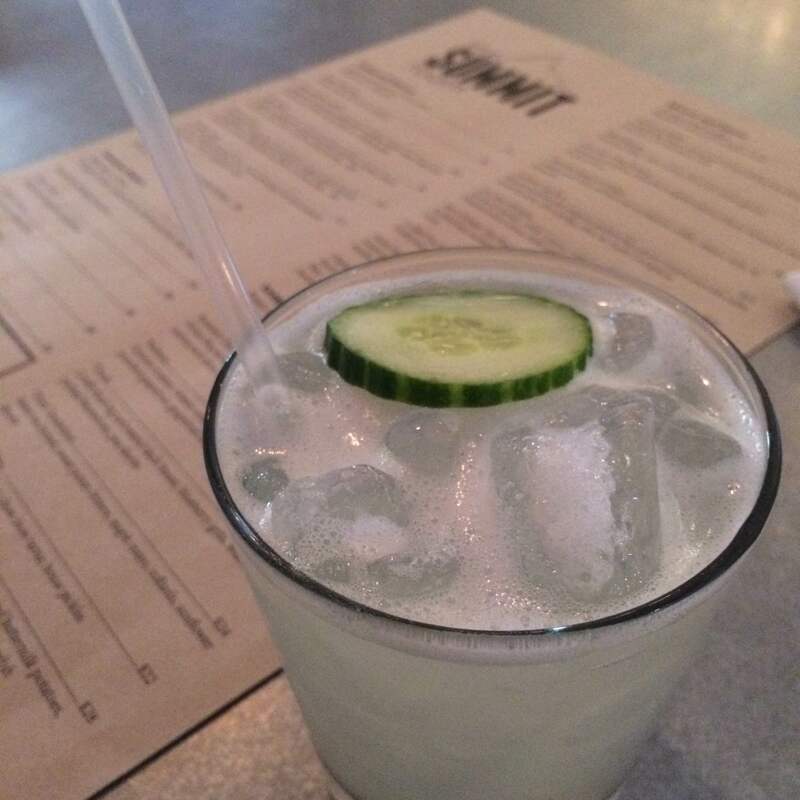 The Summit Room’s Cucumber Collins is the ONLY gin drink that I have ever liked. And by liked, I mean, I downed this drink in a matter of minutes. 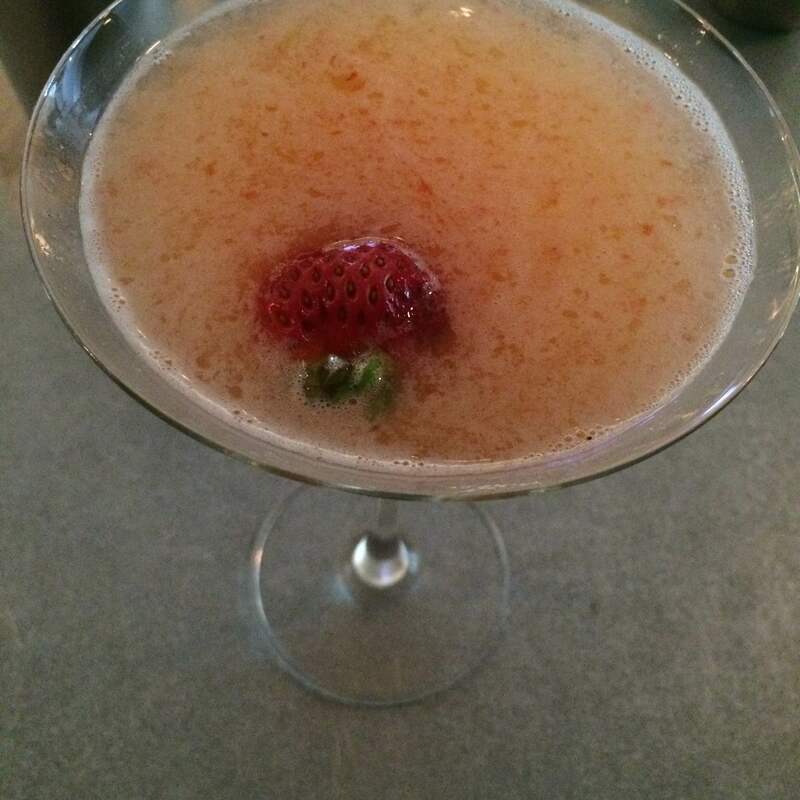 Then I had this Mango-Strawberry Splash which included a prosecco topper. Always say “yes” to prosecco toppers. 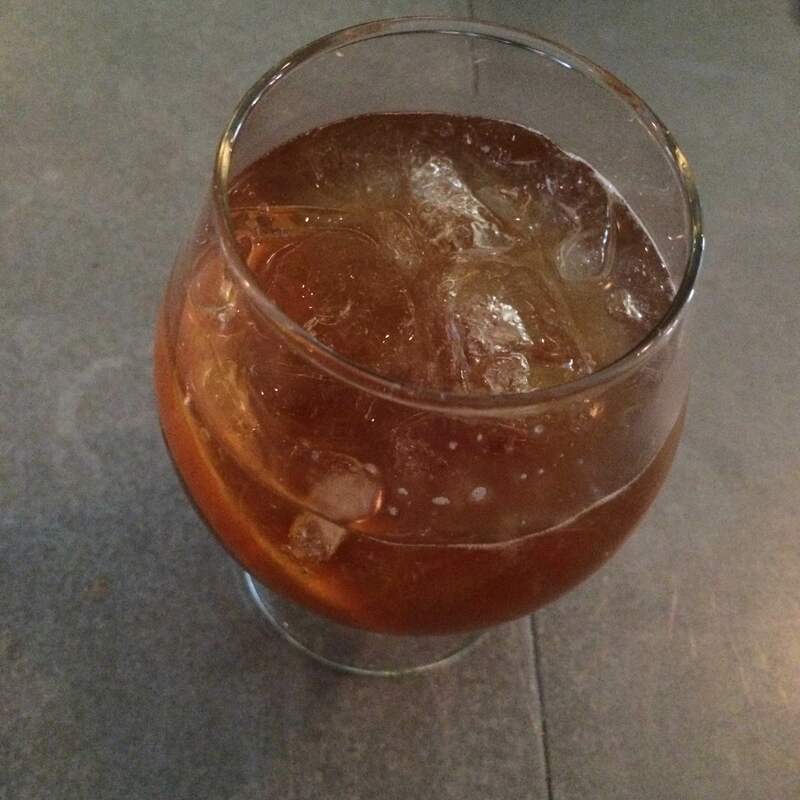 My husband went with the Chocolate Old Fashion, but he assured me it was not like dessert, and I would not like it. He, however, liked it so much that he got the same thing twice. To keep us from getting tipsy before dinner, we decided to order an appetizer to accompany our drinks. 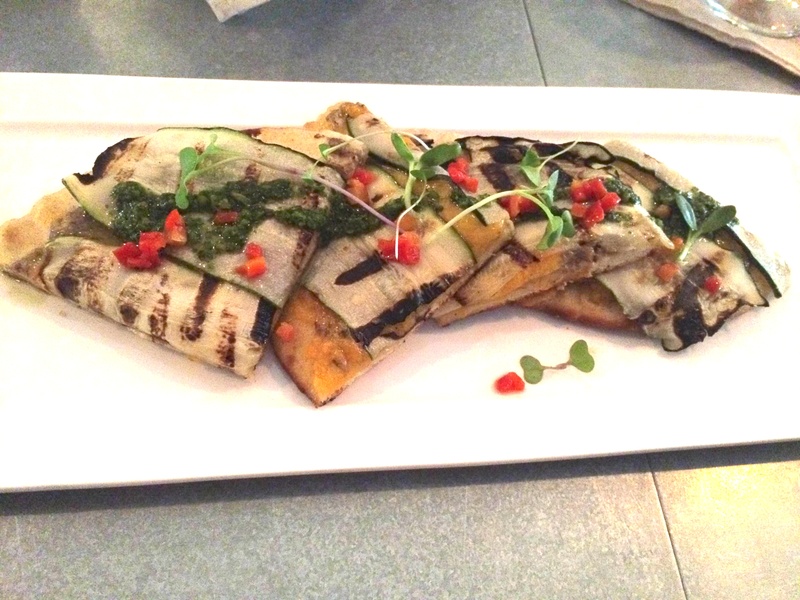 My husband, the expert food selector, picked the grilled zucchini flat bread. Definitely one of the more filling appetizers you could order but it was so delicious that I think we could have ordered a few more and called it a night. Because the first appetizer was so amazing, we ordered a second. Both the bartender and our waitress recommended the BBQ Shrimp, so we figured they had to be good. And boy, were they good! 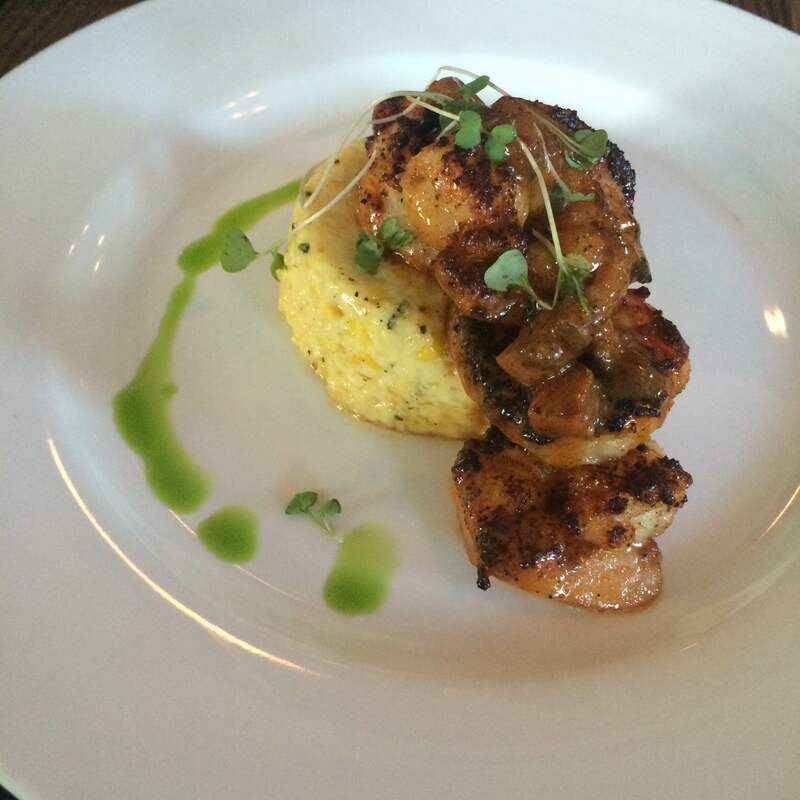 The shrimp were served over a corn pudding cake and were DEFINITELY a good choice. We got a quaint corner seat inside, and even though there was a big party sitting close by, it was still quiet enough for us to enjoy ourselves and to hear each other over dinner. 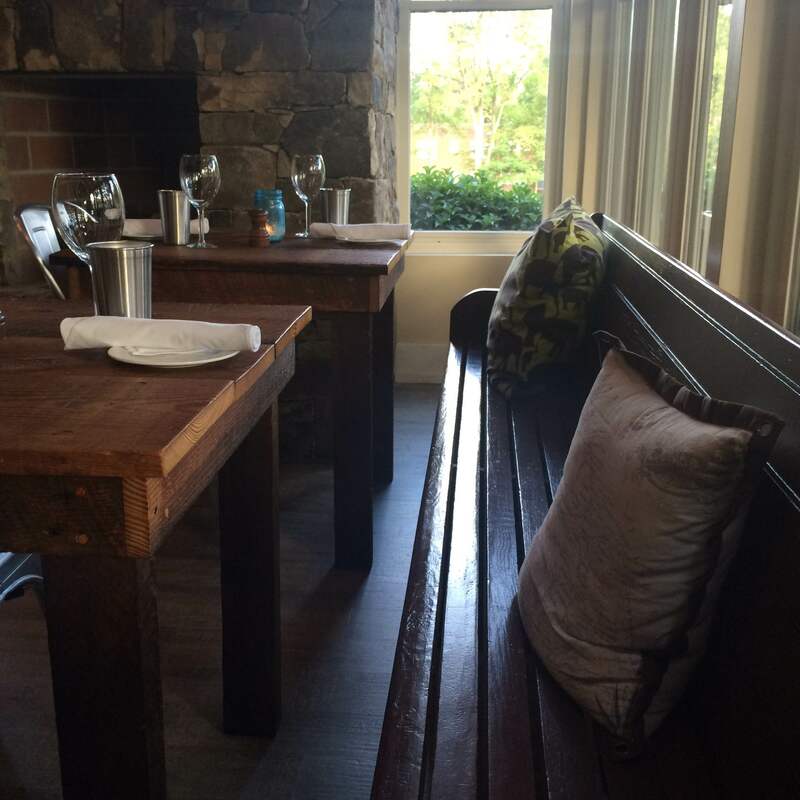 There’s also a darling outdoor seating area and the cutest rocking chairs on the porch. 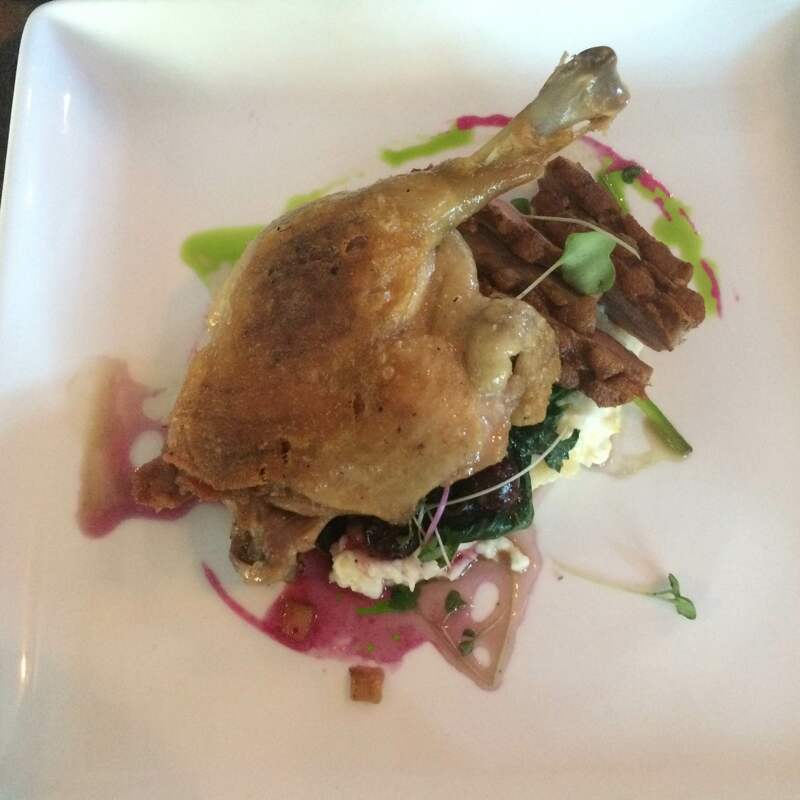 My husband ordered the duck for dinner and it came with delicious blueberry grits and spinach. 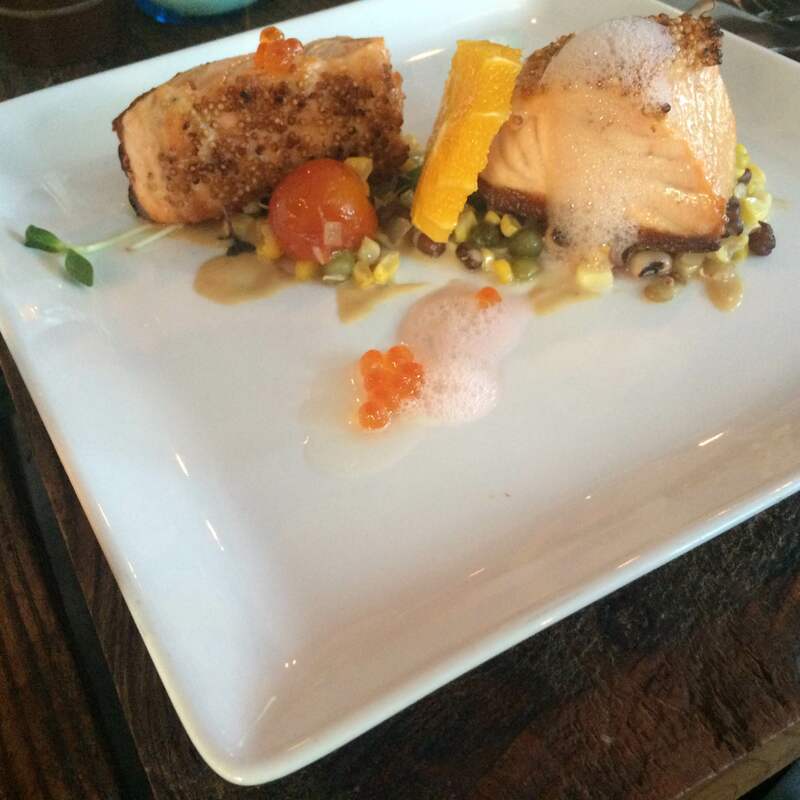 I had the salmon, which was thick but cooked perfectly. Since we over-indulged in appetizers, cocktails and our entrees, we decided to skip dessert, but not before at least taking a peek at the dessert menu. We decided then and there that we’re going back for drinks and dessert very soon. 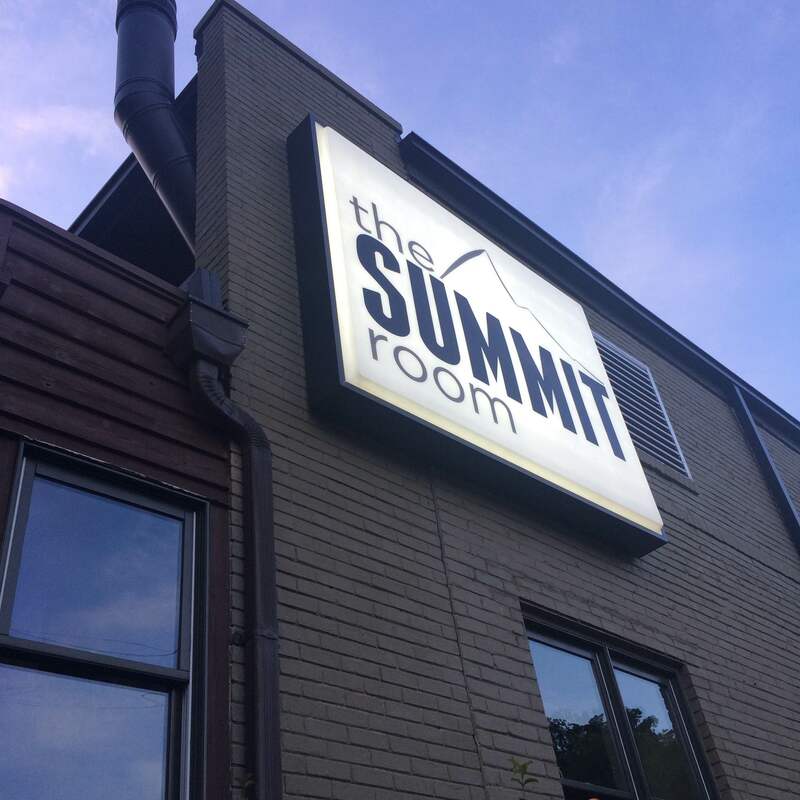 If you’re looking for a fun and semi-fancy place for dinner, I definitely recommend The Summit Room. They have a cool backstory and their tables were created from local landmarks. Plus, the cocktails… amazing… smooth… yum. 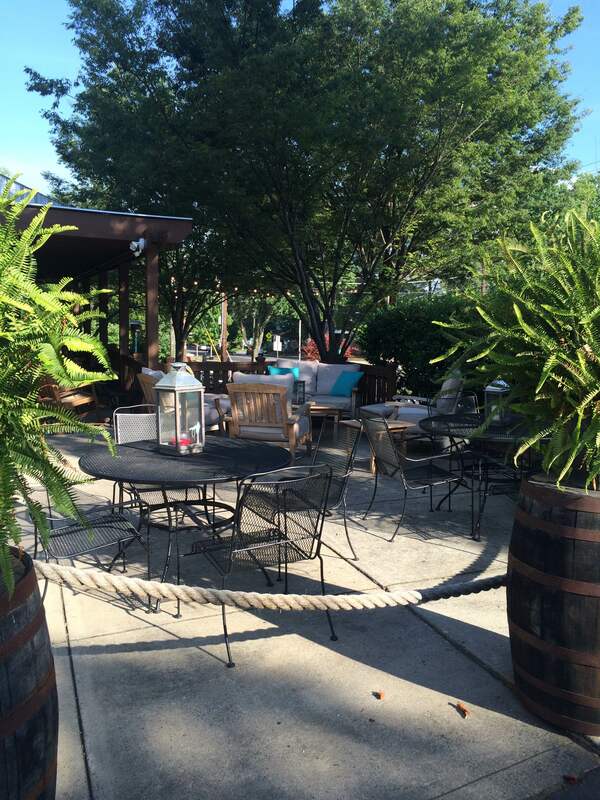 Mmmm…we will definitely have to check this place out when we’re in Charlotte again! !